Ms. Alice Puckett Foster age 96 of Smithville passed away Saturday, April 14, 2018 at The Webb House in Smithville. 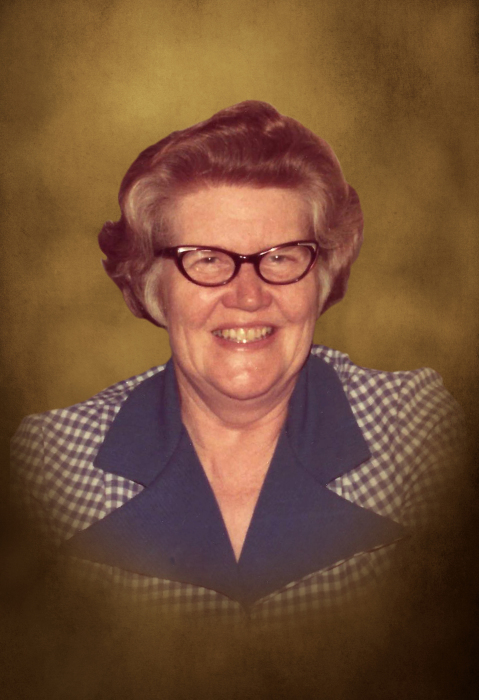 She was born August 30, 1921 to her parents, the late Elbridge Kiah and Bonnie Elizabeth Tittsworth Puckett. In addition to her parents, she was preceded in death by her husband, Richard Foster; grandson, John Richard Foster; 2 sisters, Jo Bradford and Christine Prichard; 2 brothers, Ernest Puckett and Wilburn Puckett. Ms. Alice was an elementary school educator for over 40 years, member of the DeKalb County Retired Teachers and member of the Buckner's Chapel United Methodist Church. She leaves to cherish her memory 3 sons, Brent (Cheryl) Foster of Lebanon, Mike (Wanna) Foster of Smithville and Rickey Foster (Stephanie Rhodes) of Smithville; 3 grandchildren, Kelli (Jamie) Bullard, Lee Foster (Ruby Stewart) and Michele (Kevin) Carson; 4 great-grandchildren, Brady Foster (Emilee McBride), Elijah, Micah and Kiah Carson; several nieces, nephews also survive. Funeral services celebrating Ms. Alice's life will be 1:PM Tuesday, April 17, 2018 at DeKalb Funeral Chapel and burial will follow in Puckett Cemetery. Visitation with the family will be on Monday 3:PM until 8:PM and Tuesday 9:AM until the time of the service at 1:PM. In addition to flowers, the family asks that donations be made to either Relay for Life or Imagination Library in memory of Ms. Alice. DeKalb Funeral Chapel is in charge of the arrangements.